It is a modern Dutch musical of the Bible story of Jona, the prophet. 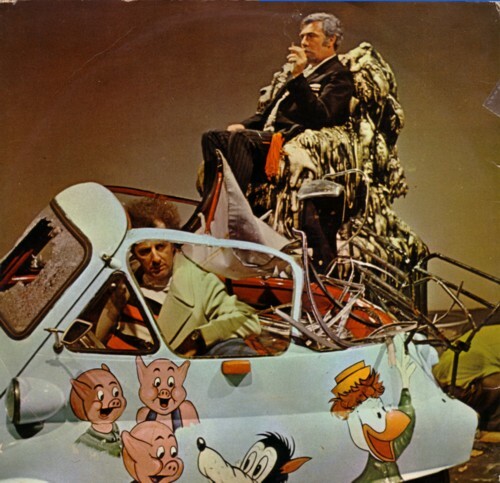 The LP is from 1971 and the musical features three famous Dutch actors: Luc Lutz, Coen Flink and Therese Steinmetz. Karel Eykman wrote the text and Ger van Leeuwen composed the music. It may not be the most spectacular LP made in 1971 in Holland, but I had never seen it, and I was very surprised to find it at that location. There are not much gospel LP’s made in Holland, and very little are worth listening to from a musical standpoint. Fantastisch om dit liedje weer te horen na 38 jaar! Wij hadden deze lp thuis en luisterden er regelmatig naar. Op de een of andere manier is de lp verdwenen (uitgeleend waarschijnlijk en nooit meer terug gekregen).